It is no secret that we have a huge problem with PLASTIC! Over the last ten years we have produced more plastic than during the whole of the last century. The toxic substance is literally everywhere and is very much apart of our daily lives. Plastic pollution is an epidemic primarily because it never breaks down and it never goes away. An astonishing 50% of the plastic we use, we use just once and throw away. It is flooding our landfills, oceans and streets. We currently recover only five percent of the plastics we produce. In other words around 90% of of the garbage floating around in the Earth’s ocean is plastic, and only 5% of it is recycled! Therefore today's solution is less about recycling and more about minimizing plastic consumption and supporting brands that have innovative solutions to plastic production and waste. There are many plastic alternatives to selfceare and household items that we use everyday. Bamboo for example, is becoming more an more popular for replacing everyday plastic products. Bamboo absorbs carbon dioxide and release 35% more oxygen into the atmosphere than an equivalent stand of hardwood trees. It can be harvested in 3-5 years depending on the species. When harvested it will grow a new shoot from the same root system leaving no need for replanting. Bamboo is a grass not a tree. It is naturally organic and does not require pesticides, fertilizers or irrigation to enhance growth. It instead grows like a weed. It is antibacterial & hypoallergenic. We love brands who are coming up with creative solutions to plastic pollution and creating a paradigm shift starts with taking baby steps. So we interviewed a melanin-owned brand called SIMPLIFEIED. This Chicago-based brand is about sharing a sustainable choice to their customers in order to help them switch out their daily plastic products for sustainable ones. 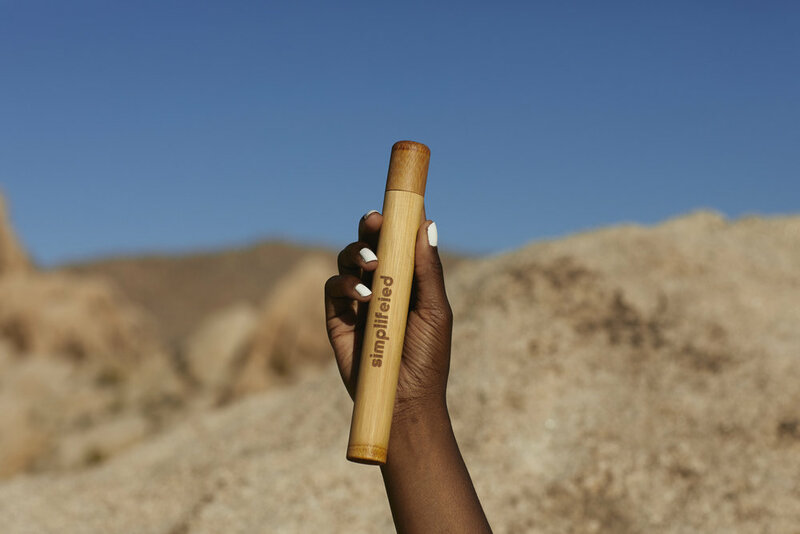 Their all natural bamboo toothbrush and travel case is recyclable, compostable and working to replace all plastic toothbrushes. When and why did you start Simplifeied? What inspired the name? We started Simplifeied in March 2018, and it was essentially to offer a DIY type solution for eliminating plastic in daily life. The name was actually inspired by the idea of simplifying the process of moving towards sustainable lifestyle. 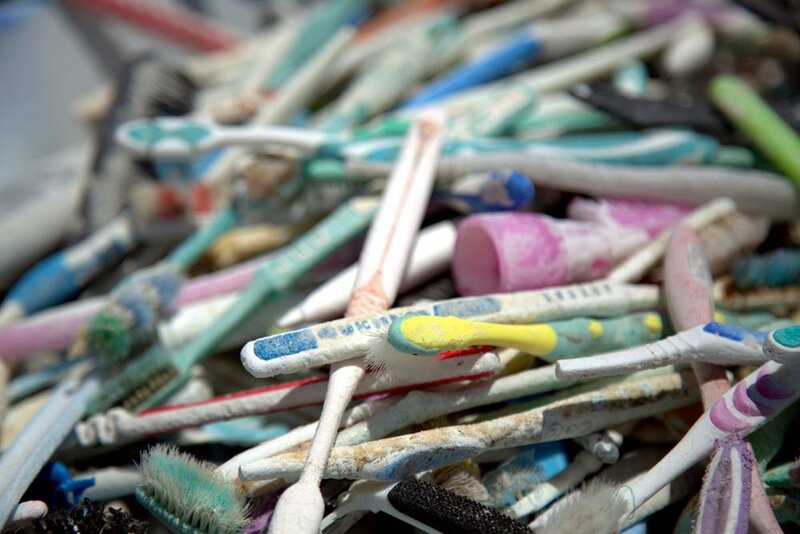 How detrimental are plastic tooth brushes? Much more than one would think, it takes about 200 to 400 years for a plastic toothbrush to actually decay, and scientifically plastic doesn’t decay, it just deforms and moves into either the soil level or the water level. So that’s 4 toothbrushes, per person per year, think about how many years worth of plastic each person is adding. Our materials include 100% Bamboo and Nylon Bristles, the only material that is not completely biodegradable is the bristles and thus the bristles need to be removed in order for the handle to recycle completely. Where do you see the future of the toothbrush business? Well, I believe if brands can work towards eliminating plastic straws, why not Toothbrushes? We are very optimistic about the toothbrushes business, as we feel we can connect with the customer very easily in terms of the functionality of the product. With plastic being such a massive detriment in our society, what are some of your favorite tips for the average consumer to reduce plastic? Well first and foremost, switch out the first plastic thing you use in the morning, the toothbrush. Even apart from that, using plastic bottles and straws is even more harmful because of the pace at which they are used in day to day use. Switch to stainless steel bottles, and straws!